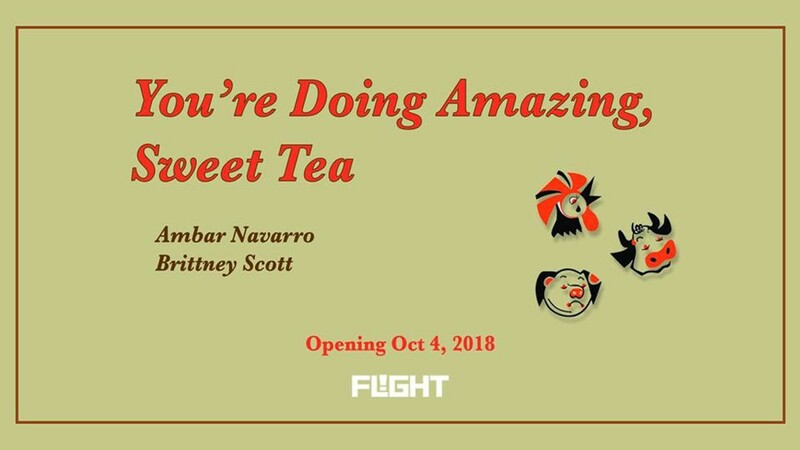 "You're Doing Amazing, Sweet Tea"
Like that feeling you get on an 8:45pm trip to Bill Miller that nets you some unexpected (and glorious) extra goodies, this new exhibit serves up the kind of joy that only San Antonians can fully appreciate. This whimsical exhibit, at least in part inspired by homesick visions/daydreams of San Antonio charm, collects all new work by LA-based, SA-born artists Ambar Navarro and Brittney Scott. Photographs, miniature artifacts, acrylic paintings, and much more all coalesce around (largely) fond memories of the artists’ shared hometown. The press release lays out the vibe well: “A palette of warm primaries and playful neutrals is kissed with ultra-specifics like armadillos, BBQ and Lubyʼs Cafeteria.” If, like us, you find yourself only falling deeper and deeper in love with all things San Antonio with the passage of time, then this is an exhibit you’ll want to make time to see.